Interactive pop-up window displaying at Broadway & 10th St. In New York you can stand among thousands and feel solitude. But the strange angles and shapes of our city also afford unique moments of intimacy. 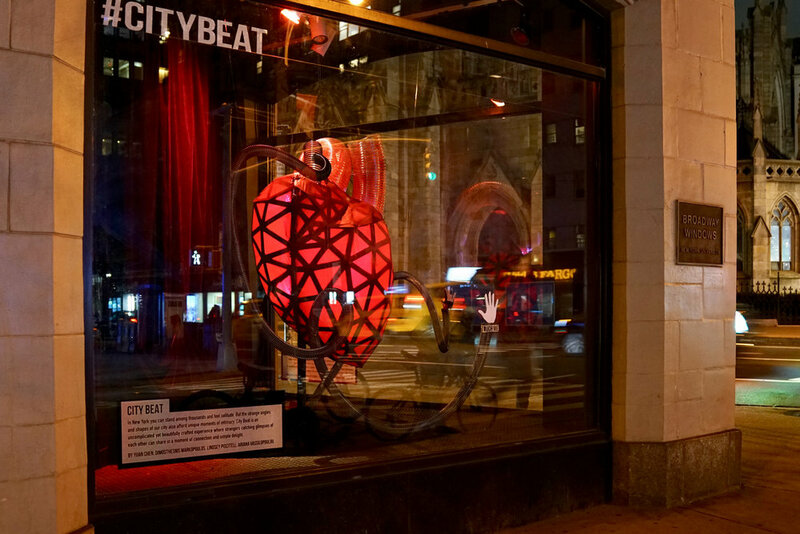 City Beat is an uncomplicated yet beautifully crafted experience where strangers catching glimpses of each other can share in a moment of connection and simple delight.